Our beautiful state is a wine enthusiast’s heaven-on-Earth. With over 60 wineries in Maryland and more than 400 delicious varieties to choose from, wine tasting has become a popular local activity. During your stay at the Wayside Inn, we highly suggest visiting one of these stunning and unique wineries near Baltimore. Each winery is close to The Wayside Inn, making for an enjoyable day trip with plenty of time to return to the Inn for a relaxing evening. If you’d like to find even more wineries in Maryland or other local attractions, claim your Free Maryland Vacation Guide today! If you’re ready to experience our list of the best wineries in Maryland, we recommend the Pierpoint Suite for your romantic getaway. You can also enjoy a terrific planned evening in Ellicott City before and after your winery tour with our luxury package. Basignani Winery is located in Sparks, MD, less than an hour’s drive from The Wayside Inn. It is owned by husband and wife team Bertero (Bert) and Lynne Basignani. Bert dreamed of following in the footsteps of his Italian grandparents who made wine at home, so he bought 10 acres of land in the Maryland Piedmont while he was still a college student as a step toward fulfilling that dream. Forty years later, Bert and Lynne run a successful winery that produces 6,500 gallons of wine annually. Basignani Winery grows Cabernet Sauvignon, Chardonnay, Seyval, Burdin and Villard grape varieties which produce several wines, including dry reds, dry whites, and several sweet wines. The tasting room is open Wednesday through Sunday 11:30 a.m. – 5:30 p.m. It is closed Monday and Tuesday. The winery hosts several special events throughout the year, including wine pairing events and a Tuscan Christmas celebration. Black Ankle Vineyards is nestled in the foothills of Mt. Airy, MD, a little more than 30 minutes from The Wayside Inn. Founded by Ed Boyce and Sarah O’Herron, the vineyard’s first grapes were planted in 2003 and harvested in 2006. The 2006 wines rested in barrels until the tasting room opened in 2008. The vineyard spans nearly 30 acres on a 145-acre farm in the Maryland Piedmont. 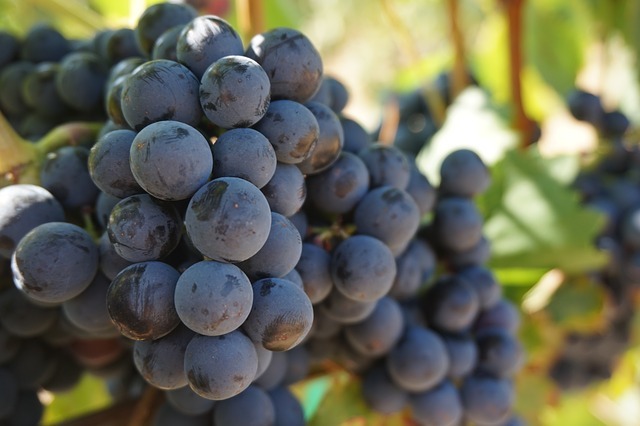 You can learn more about the vineyard’s history, and the 12 grape varieties that are grown there during an extensive vineyard and winery tour offered Saturdays and Sundays at 1 p.m., weather permitting. The tasting room is currently closed for the winter but will reopen in mid-April. The roots of Boordy Vineyards run deep, as it was founded in the 1930s by Philip and Jocelyn Wagner, who went on to establish Maryland’s first commercial winery in Baltimore City in 1945. In 1980, the vineyard was purchased by the R.B. Deford family and relocated to a 240-acre farm located in Hydes, MD. Forty acres of grapes are cultivated on the vineyard producing 97,000 gallons of wine annually. Located a short 30-minute drive from The Wayside Inn, Boordy Vineyards’ tasting room is open Monday through Saturday 10 a.m. to 5 p.m. and Sunday 1 p.m. to 5 p.m. Vineyard and winery tours, which include a walk through its 19th century stone barn, are offered daily at 2 and 3:30 p.m. Established in 1983, award-winning Elk Run Vineyard and Winery’s approach to making wine is an homage to the traditions and values of old world practices while integrating new world research and technology. All the varieties made at Elk Run are grown in the 25-acre vineyard. The tasting room is open November through April Wednesday through Saturday 10 a.m. – 5 p.m., Sunday 12 p.m. – 5 p.m. and other days by appointment. May through First week of October, Elk Run Vineyard is open Tuesday through Saturday 10 a.m.-6 p.m. and Sunday 12 p.m. – 6 p.m. Wine Down Friday is an event held weekly from 6 p.m. – 9 p.m., weather permitting. Fiore Winery offers a full range of wines, including dry reds, dry whites, sparkling wines and dessert wines. This winery was established in 1986 by Mike and Rose Fiore. Mike was a vineyard owner in Italy before moving to the United States in 1962. Located in Pylesville, Md., about an hour from The Wayside Inn, Fiore Winery produces 35,000 gallons of wine annually and has been the recipient of many awards. Pack a picnic lunch and plan to spend a leisurely afternoon exploring the vineyard and sampling the wines. Fiore Winery’s tasting room is open November through March Monday through Saturday from 10 a.m. to 5 p.m. and Sunday from 12 p.m. – 5 p.m. April through October, the winery is open Monday-Friday 10 a.m. – 5 p.m., Saturday 10 a.m. – 6 p.m. and Sunday 12 p.m. – 6 p.m. This Maryland winery features a comprehensive experience for both wine and food. With a tasting room and a complete lunch menu, you can experience all this winery has to offer. Whether looking to host an event here or just participate in some wine tasting, Woodhall Wine Cellars will fit your needs. The laid-back atmosphere of the tasting room makes for a fun environment that is relaxing and welcoming. Specializing in finely crafted wine, this Maryland winery is perfect for wine tasting and events. Aside from selling wine, Hartford Vineyard and Winery also sells supplies for wine-making at home. If you are interested in making your wine at home, equipment rental and purchase are also available here. If just drinking the wine is right for you, choose from 11 wines to find the one right for you. For even more incredible things to do in Howard County, MD, check out the many opportunities from Columbia, MD, to Washington DC and beyond, then find your room at The Wayside Inn!